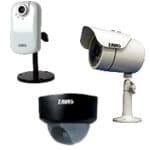 The Zavio CamGraba surveillance NVR software is specifically designed to manage and record Zavio IP cameras. Zavio CamGraba offers the ability to be remotely accessed using an Android mobile device, allowing users to view and manage their NVR software from almost anywhere. The instructions below explain how to remotely access the Zavio CamGraba surveillance NVR software using an Android mobile device. 1. First, make sure that the correct ports are forwarded in the router connected to the Zavio CamGraba PC. Then ensure that the appropriate network settings are applied within the CamGraba main console. If this has yet to be completed, please visit our Zavio CamGraba Network Setup article. 2. Please download the CamGraba Android Application from the Android Market. Then launch the application. 6. You should now be remotely connected to your CamGraba NVR software.